When John C. Fremont was trying to map a route through the Rockies in 1842, he couldn’t raise an American flag; the land wasn’t part of the United States yet. So his wife hacked Old Glory, working in a bald eagle clutching a Native American peace pipe. 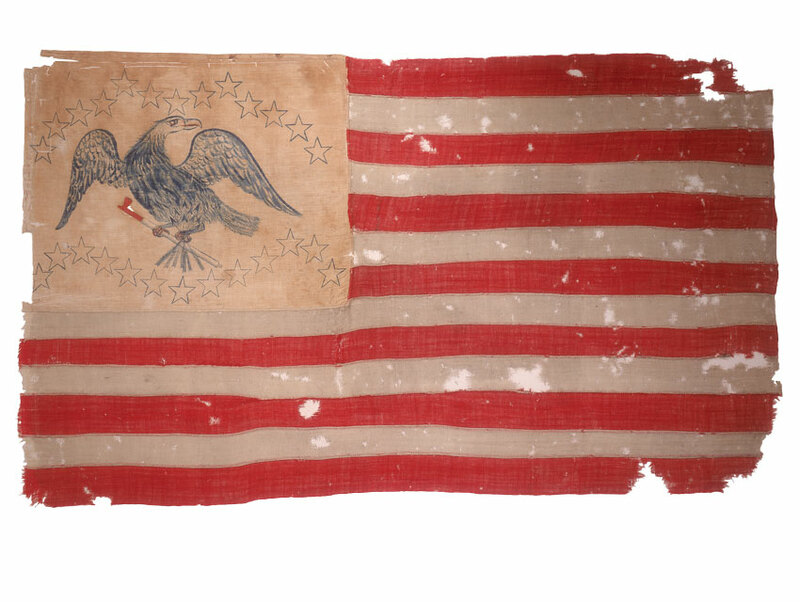 The vestige (above) is among the nearly 300 objects featured in the Autry National Center’s exhibition Empire and Liberty: The Civil War and the West, a project five years in the making. “One of our goals,” says curator Carolyn Brucken, “was to bring together these two transformative events—western expansion and the Civil War—and show them as interconnected.” The show runs through January 3, 2016.